Barnaby Conrad was once quoted as saying “auto racing, bull fighting, and mountain climbing are the only real sports... all others are games.” (The quote is often wrongly attributed to Ernest Hemingway who thought bullfighting was a tragedy) These writers were surrounded by auto racing in it's infancy when it a loud, extremely dangerous and uncharted sport. Though to an extent it still is, modern racing is far safer, better organized and more refined than it ever was in the 20's. Nonetheless, slapping a race number to a car never fails to provide a thrill no matter what era. The Calgary Sports Car Club ICE Cup was held at Ghost Lake Alberta and was a rallycross event open for any style of car. There was a wide variety of cars present from stripped and caged racers to daily drivers with winter tires. 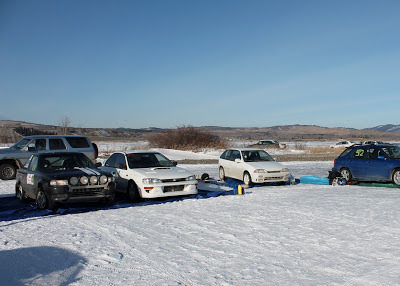 The Swift parked amongst the other "real cars"
Racing on a frozen lake is a driving experience like none other. 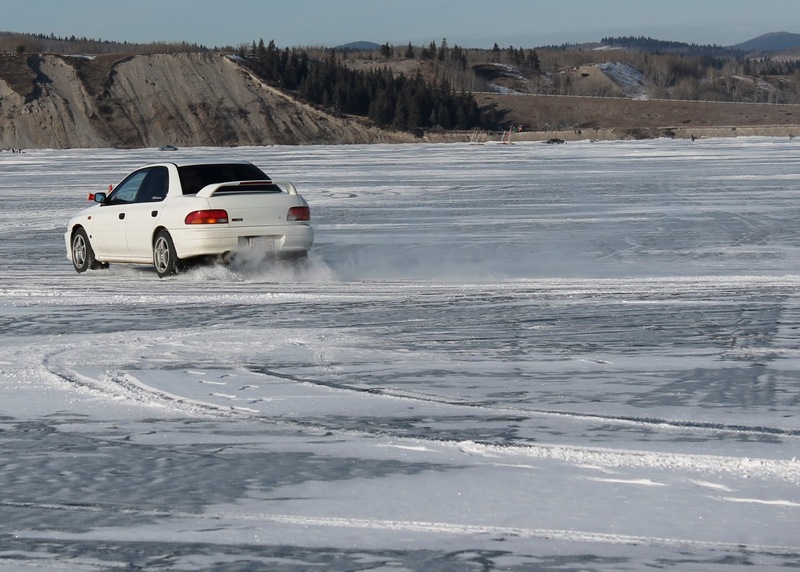 Once you get past the odd sensation of driving down a boat launch onto the lake, there is shockingly little grip to be had. 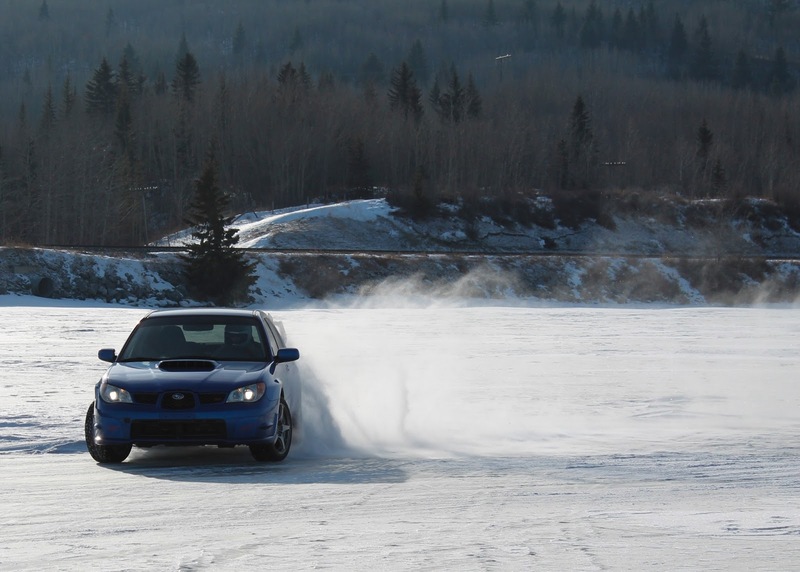 No amount of snowy parking lot sliding can prepare you for it. Acceleration, braking and turning have to be done incredibly smoothly, with planning and patience. Studded tires, while beneficial, were not worlds better. There's also the added dimension of aiming for the snow drifts where there is more traction. 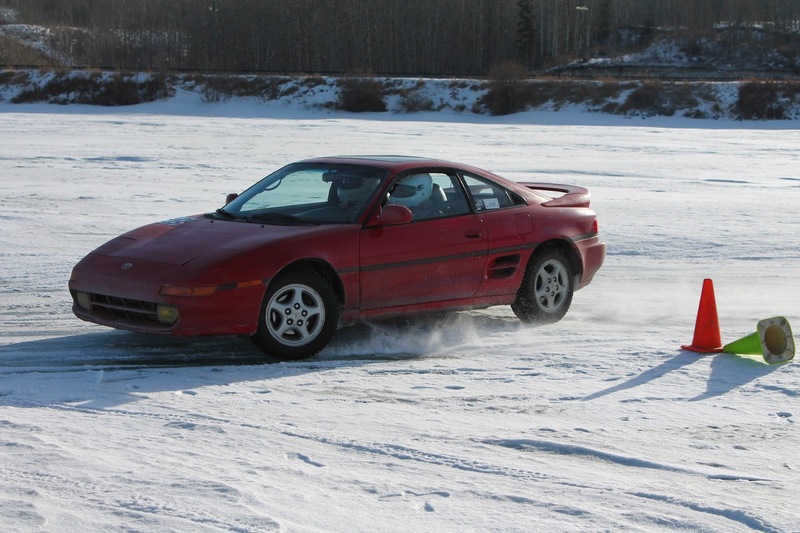 The surface is varied between ice that resembles polished marble, choppy ice that is somewhat more grippy and the outlying snow drifts that were quite hard due to the wind and -20° temperature. It was so cold, in fact, that a cone that had frozen rock hard managed to dent a competitors fender when he hit it. 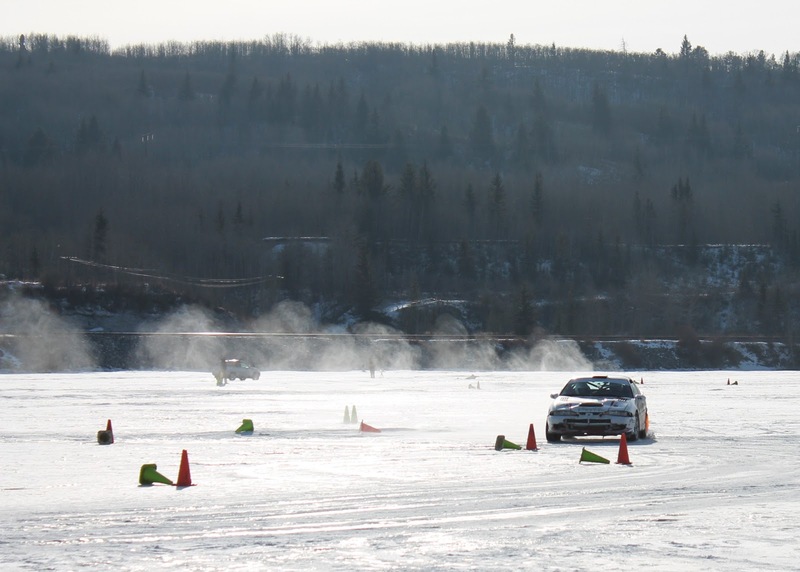 Ice racing delivers an experience similar to that of rock-crawling: It's very technical and entertaining while occurring at very low speeds. The Swift never had to leave second gear as speeds never exceeded more than 25 mph on the course and many turns involved slowing almost to idle. Many cars never left second gear. On a course like this, horsepower was as useless as drag slicks on a VW Vanagon. Braking correctly and controlling understeer were the real keys to success here. Exactly what old Volvos are born to do. The other side had more rust holes and an awesome side exhaust. 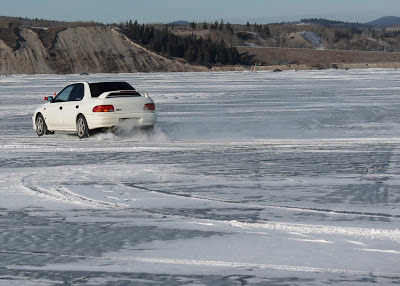 If you're tired of being told by mall cops to stop doing donuts in the parking lot and want to learn more about winter car control, ice racing is a fun and safe (No trees or rocks to hit on a lake!) way to advance your skills. It's also fun to have a playing field where horsepower advantages are completely null.